What type of Detector Tubes are you looking for? 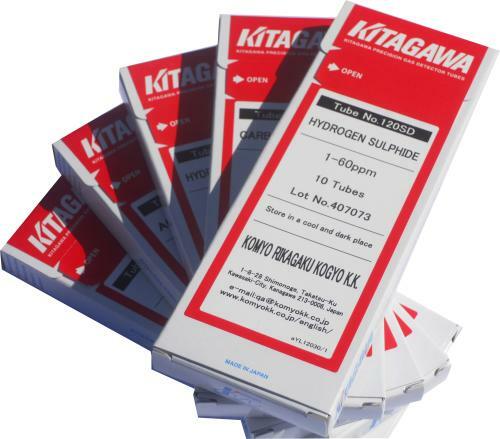 The KITAGAWA GAS DETECTOR TUBE SYSTEM is trusted by industries worldwide to detect gases and vapours, simply and reliably, without the need for calibration effort or power supply. The Komyo Kitagawa Gas Detector Tube System is an accurate and cost-effective spot gas detector sampling system, offering over 300 gas detector tubes, from Ammonia to Xylene. Sampling system for use with the Kitagawa detector tubes. 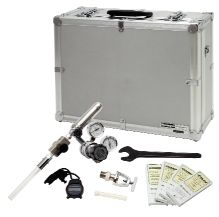 Includes sampling pump with integral sample time indicator, precision volume sample locking mechanism, glass tube tip cutter and fragment container plus carrying case, 2 pcs of rubber tube connector, 1 pc of grease and an instruction booklet. Detector tubes for the Kitagawa AP20 sampling system. 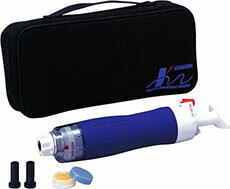 Over 300 gas and vapour detection tubes are available for the sampling pump. Each box contains 10 detection tubes to enable 10 gas measurements (or 5 measurements for specialist applications with pretreat tubes). A range of gas samplers and extras for specialist applications. From extension hoses for confined areas to sampling soil probes to compressed breathing air sampling to flue gas sampling, the Kitagawa extended range offers specialist solutions for your gas detection needs. For the complete catalogue of products, download the current Kitagawa Gas Detector Tube System Brochure.